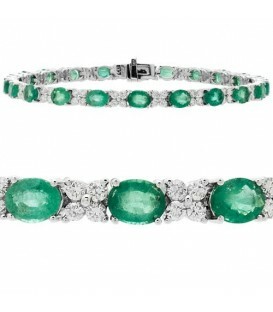 An exquisite 9.50 Carat Emerald and Diamond Bracelet in 14 Karat White Gold boasting 7.70 Carats of Oval Emeralds. Seven and a half inches in length with hidden safety clasp for extra security. 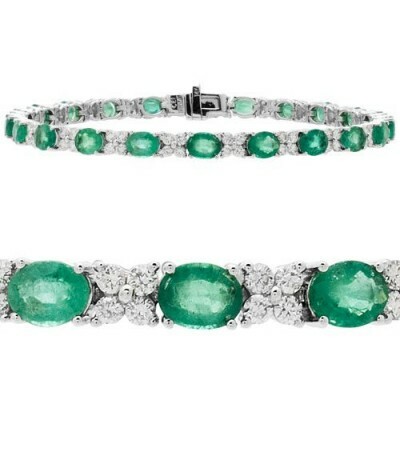 A terrific value in a stunning Emerald and Diamond 14 Karat White Gold Tennis Bracelet. 22 Oval cut rich green genuine Emeralds weigh a total of approximately 7.70 Carats are interspersed with a delicate cluster of 4 sparkling round cut genuine Diamonds weiging a total of approximately 1.80 Carats in an exclusive 14 Karat White Gold Amoro design. Almost 10 Carats of precious gems at a great price. 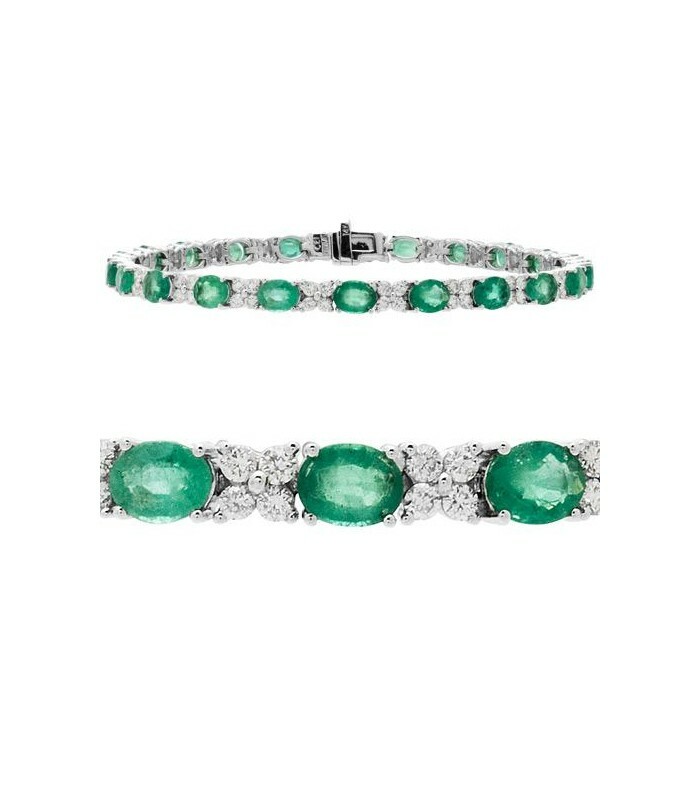 *BRACELET* One (1) fourteen karat (14kt) white gold Emerald and Diamond bracelet featuring: Twenty-one (21) prong set, oval cut, Genuine Emeralds weighing a total of 7.70 carats and Eighty four (84) prong set, round cut, Genuine Diamonds weighing a total of approximately 1.80 carats. Due to their natural crystal structure, Genuine Emeralds frequently contain surface reaching inclusions and are commonly oiled with natural cedar wood oil in their country of origin. The G.I.A. recognizes that this process is traditional to the emerald gemstone industry. Other colorless resins may also be used to protect and seal Emerald gemstones.